Before we delve into the LAB-ID™ Luminor 1950 Carbotech™ itself, we have to mention “the” major factor here: a 50 year guarantee that comes with the watch! 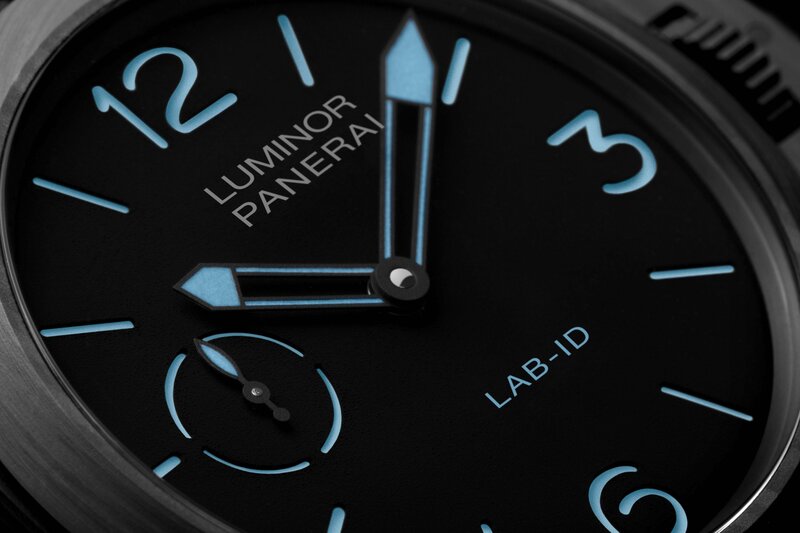 Panerai seems to have developed such a wide range of solutions for the individual parts of the movement that those have become exempt from liquid lubrication needs, thus drastically reducing the necessity of maintaining and overhauling the calibre, and giving the brand such confidence in the watch it’s ready to guarantee it for 50 years (within specific terms and conditions of course). One word: wow! This new Special Edition brings a series of technological innovations to the Luminor 1950 collection, by putting carbon’s amazing characteristics to good use! 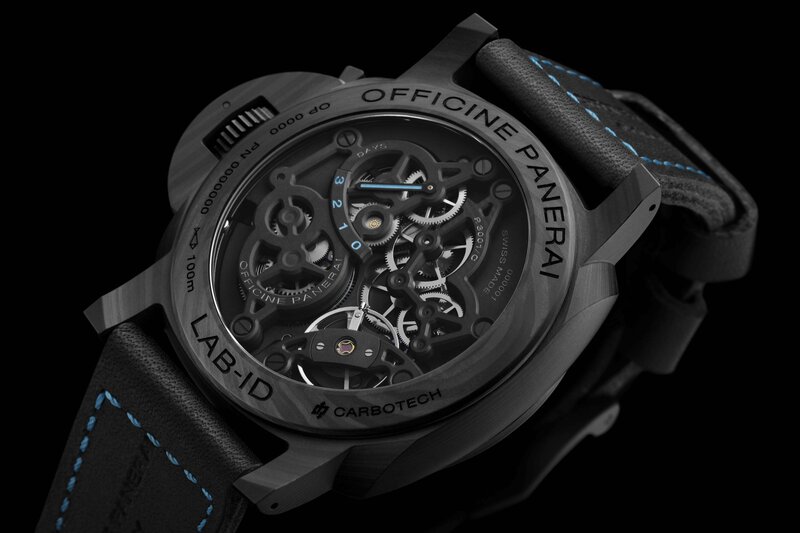 Every component of the LAB-ID™ Luminor 1950 Carbotech™ makes use of the various abilities of carbon: the 49mm case is made of a composite material based on carbon fibre and having a dense, uneven blackness which varies with the cut of the material, making each individual piece unique. Being hypoallergenic and not subject to corrosion, Carbotech lends those qualities to the watch too. 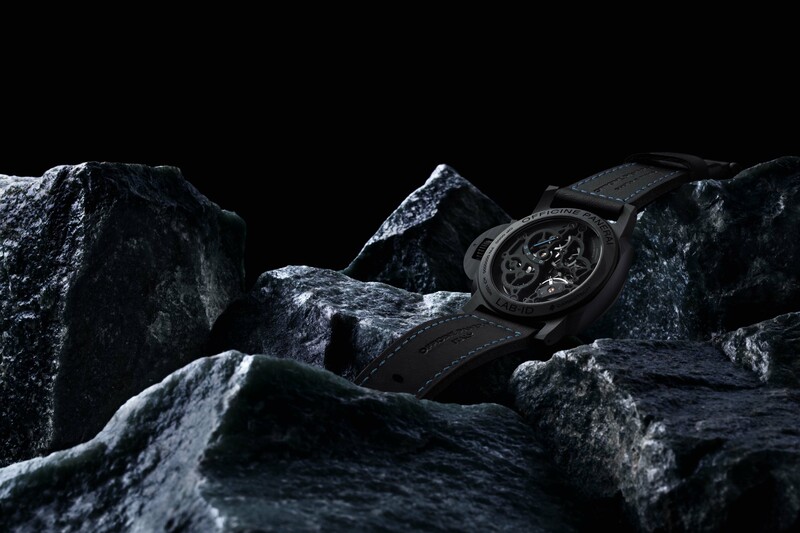 For the first time, the dial is coated with carbon nanotubes endowed with optical properties developed to absorb light and reduce reflection to a minimum, giving the dial a particularly deep black appearance. The blue-colored Super-LumiNova® hour and minutes markers; small seconds dial, LAB-ID name, hour marker; and matching luminous blue stitching on the straps strike a beautiful contrast with the sharp black case and dial. The most impressive feat of the timepiece is its movement that works perfectly without any lubrication. Whether mechanical watchmaking in general will take to this very practical and advance property in the future remains to be seen. 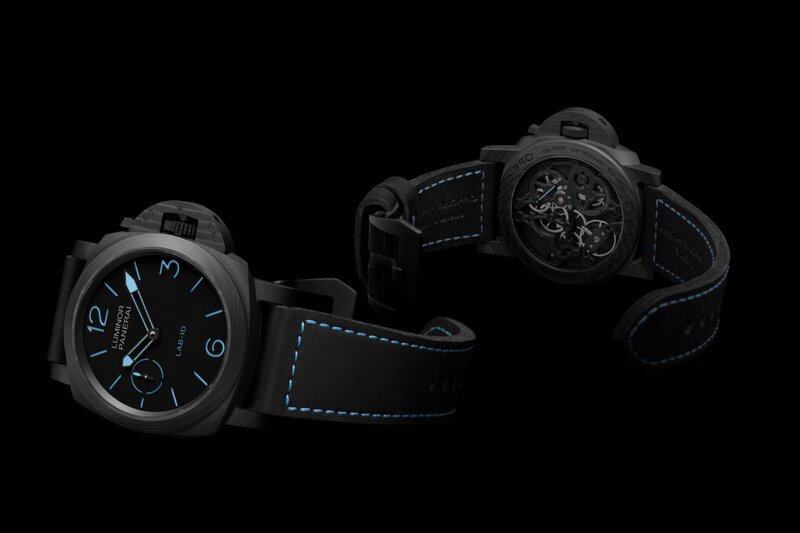 One thing is almost sure, Panerai will probably introduce the amazing uses of carbon into more of its watches from now on.